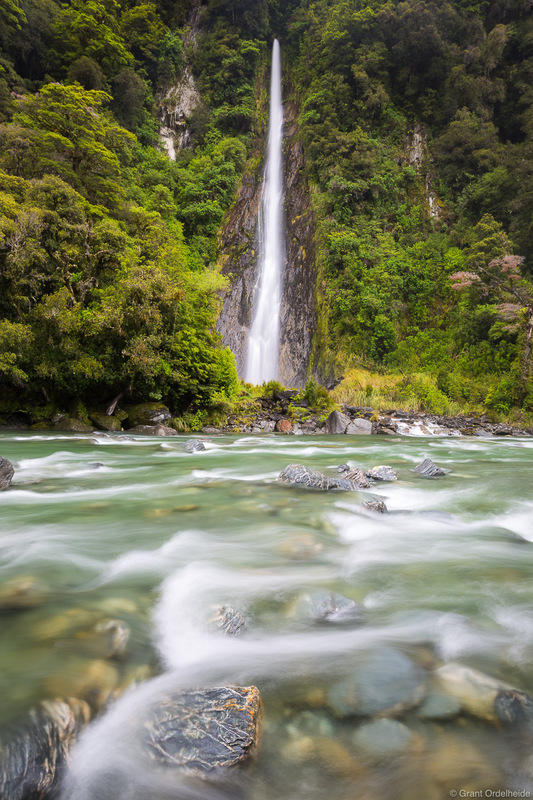 Thunder Creek Falls plunges into the Haast River in New Zealand's Mt. Aspiring National Park. Photo © copyright by Grant Ordelheide.